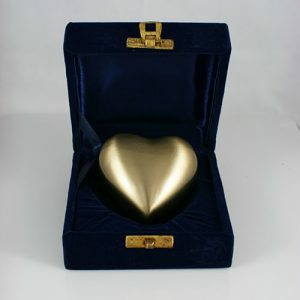 What is the best urn for my dog’s ashes, people ask me this question almost every day and the answer is….it depends! I know that’s not the answer most people want to hear but when somebody asks me this question I like to find out a little bit more about the dog and the caller. Most people call me when they have a feeling that they need to do something with the ashes. A well meaning friend or member of the family might have been asked them when are they going to do something. It might be the anniversary of their dog’s death or a birthday that has triggered a need to do something with the ashes. 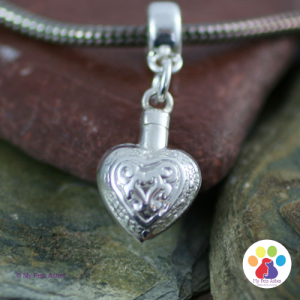 The person could be moving house or emigrating abroad and wants to find a more suitable home for their beloved pet’s ashes. Whatever the reason I always think it’s really important to think about a few things before you decide what is the best urn for your dog’s ashes. As long as you keep your dog’s ashes in a container that can keep them dry their ashes will be safe for as long as you want them to be. People sometimes feel pressurised to make decisions such as burying their dog’ ashes but don’t rush. Only you will know when it’s the right time to do something. How do you want to remember your dog? If you know that the time is right to do something then the next step is to work out how you want to remember your dog. Do you want to keep the ashes at home? Would you prefer to keep the ashes in the garden. Perhaps you want to bury the ashes in the garden? It’s important that you are able to visit a special place where you can remember them? If you’re not sure or if there are a couple of things you would like to do how do you feel about splitting the ashes? These are difficult questions and can be painful to think about but they will help you to work your way through the grief and find the right answer for you and your dog. It will help you to make a confident decision that you will feel happy with as time passes. I want to keep my dog’s ashes at home. Okay so you’ve given the question lots of thought and you have decided to keep all the ashes at home. So what is the best urn for your dog’s ashes? The first to consider is the size of the urn. Different dog breeds will create different amounts of ashes. 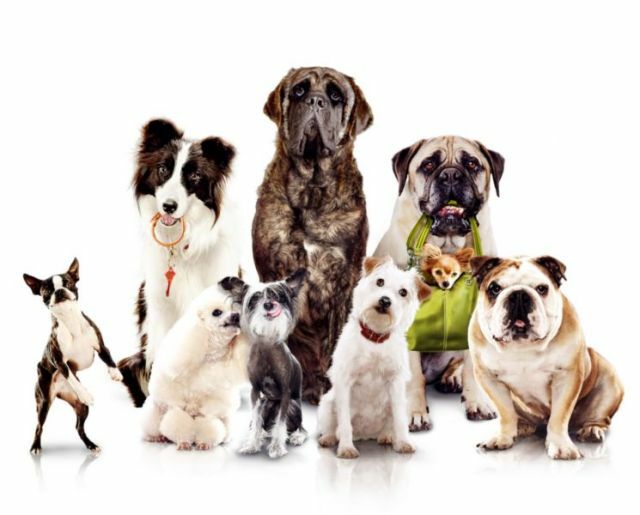 You can find a helpful list here – what size of dog urn do I need? As soon as you know the cubic inch capacity then you can make sure you select the right size. 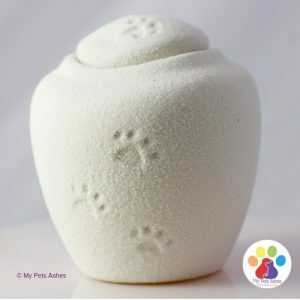 For example if you want to keep the ashes in a simple scatter tube then you would select the small for smaller breeds such as Dachshunds, the medium for bigger dogs such as Collies, and large for larger dog breeds such as Dalmatians, you can find more examples here on our Dog Scatter Tube page. These scatter tubes even have photos of the different breeds so that you can get an idea. 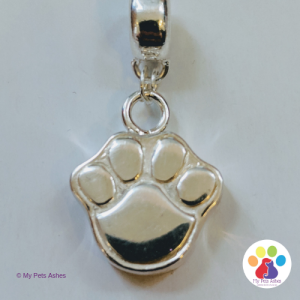 But lots of our designs have these sizes so you don’t have to limit yourself to this tube you could select Bluebell Woods or Paw Prints if you preferred. The next thing to work out is whether you want to ever open the urn in the future. If you want to put the ashes in an urn until you choose to scatter them or bury them. 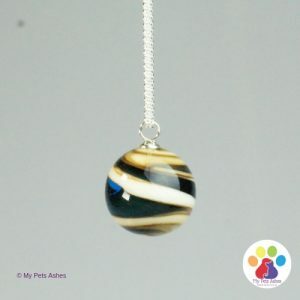 Or maybe you want to take some of the ashes and get them made into a piece of jewellery or a glass ornament at some point in the future. You will need to select an urn that will keep the ashes safe be can be opened i.e. not sealed. Then all you have to do is choose an urn that works for your home. There are lots of gorgeous urns that do not need to be sealed in both traditional and contemporary styles. Here is an example of our Handmade Raku ceramic urns. These look great in any setting and are made by amazing potters right here in Devon England. Another Devon option is our beautiful Dartmoor Wooden Urns. Lots of people like a wooden urn as it looks great, can be easily moved around and is very robust. We can deliver them oiled or you can chose to have a pot of beeswax from the carpenters own beehives. You can then put the wax on yourself. Many customers find this very cathartic. 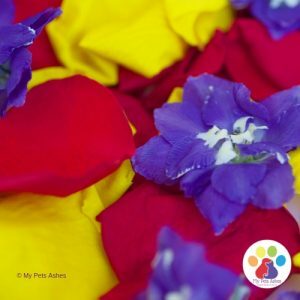 I want to keep my dog’s ashes in the garden. We are a nation of gardeners and lots of people would love to put their dog’s ashes in the garden. The main downside to burying your dog’s ashes in the garden is having to move house. If you ever have to sell your house you will have to find and dig the ashes up or leave them behind. This can be stressful for all involved. But if you keep them inside an ornament in the garden you get the best of both worlds. 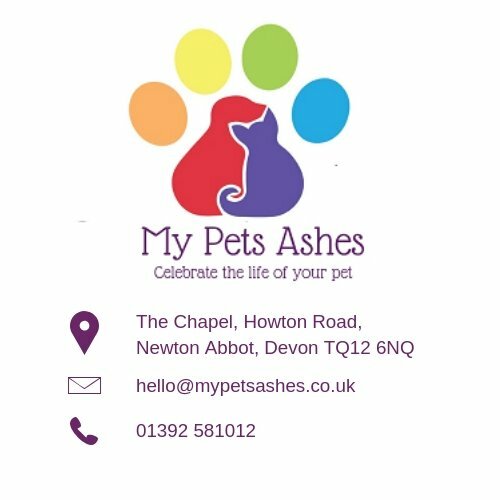 Your dog’s ashes are in the place that they loved, and if you do ever need to move home you can simply take them with you. We have lots of traditional and modern garden urns that can work for all types of garden. I want to scatter my dog’s ashes. 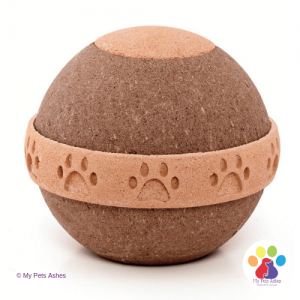 If you want to scatter all of your dog’s ashes then a simple scatter tube is the perfect choice. If you want to release the ashes into water then a water urn is ideal. Our Burial Pillow is 100% biodegradable and can be put into a river, lake or sea. Scattering all of your dog’s ashes can give you an amazing feeling of release. Finding the right spot such as somewhere you loved to walk together or in a favourite snoozing place in the garden. You could have a ceremony, invite a few like-minded friends. Say some words, scatter some petals, remember the good times and say goodbye. I’m not sure what I want to do with my dog’s ashes. As long as you keep the ashes safe do don’t need to decide. If you don’t mind splitting the ashes you can do some or all of the ideas. Take a mini scatter tube and sprinkle some ashes on one of your best walks. 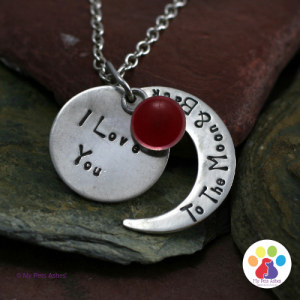 Put some in a small garden urn and some in a keepsake urn for your home. 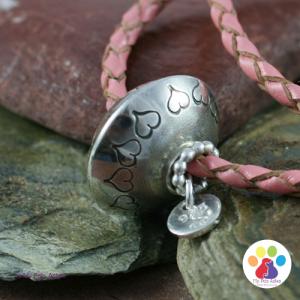 Or put a small amount into memorial jewellery, that way you can have them with you always. 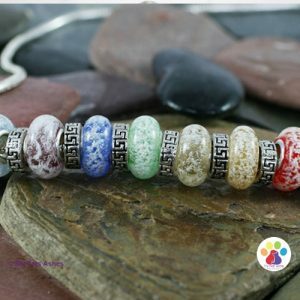 Our Pandora Style Beads are very popular or a simple Silver ring. Whatever you chose to do we are with you all the way. If you would like more information just call and ask to speak to Karen or Hannah. We’re here to help.